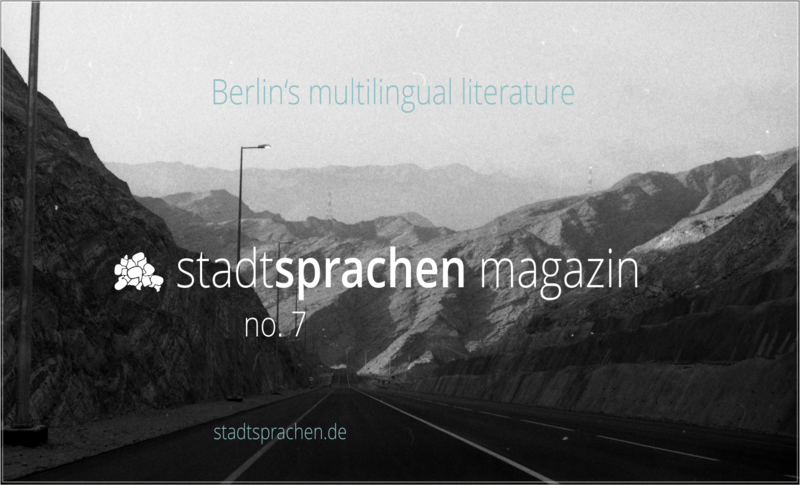 The 7th issue of stadtsprachen magazin takes us from Gendarmenmarkt via New York and the southern tropic back to Berlin at the time of the fall of the Berlin wall. Different perspectives, inside and out, from great heights and icy depths, parallel and transversal. The view is sharply focused. The writers and translators each with their own voices are joined through their literary aspiration. Their different points of view have one thing in common: empathy and insight. Fiction lets memories come unstuck, allows a gallery of faces to spin in front of your eyes like some maddening carousel. Allows the night to bear fruits of neon and cigarette smoke. Melodies unsung, sweep into the hollow of the sky. Silver music dripped from its arches. All we have to do is sit back and record it. Milena Nikolova: Смъртта на Ана З.
Peter Wortsman: Where Have All the Bookstores Gone? Ani Menua: Gespräch mit Herrn H.H.